An internal view of Reykjavik's very famous Harper building which serves as a music hall and conference center. Some amazing angles and reflected light to capture in this very impressive modern architectural design. 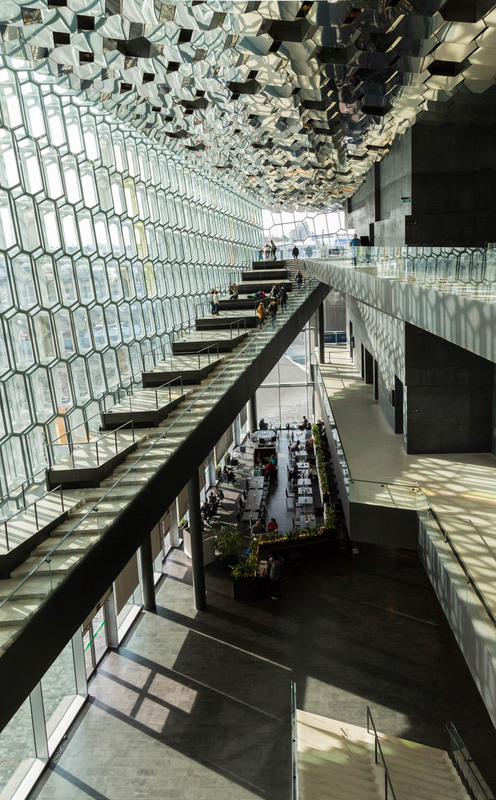 Ólafur Eliasson designed the glass facade to resemble Iceland's basalt landscape. It also reminded me of bees honeycomb. 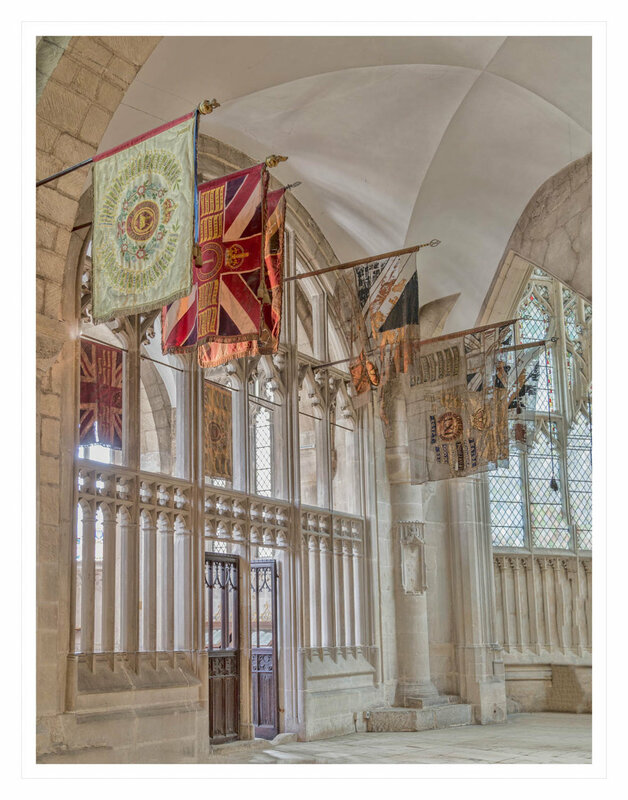 Taken inside Gloucester Cathedral, UK. I loved the arrangement of flags, some almost transparent and threadbare with age clinging on to the flag poles. A fine example of a Fan-vaulted ceiling detail in the Cloisters at Gloucester Cathedral, England. UK. The technique is believed to have been invented there in the 1350's. I set my camera flat on the floor and used a cable release. 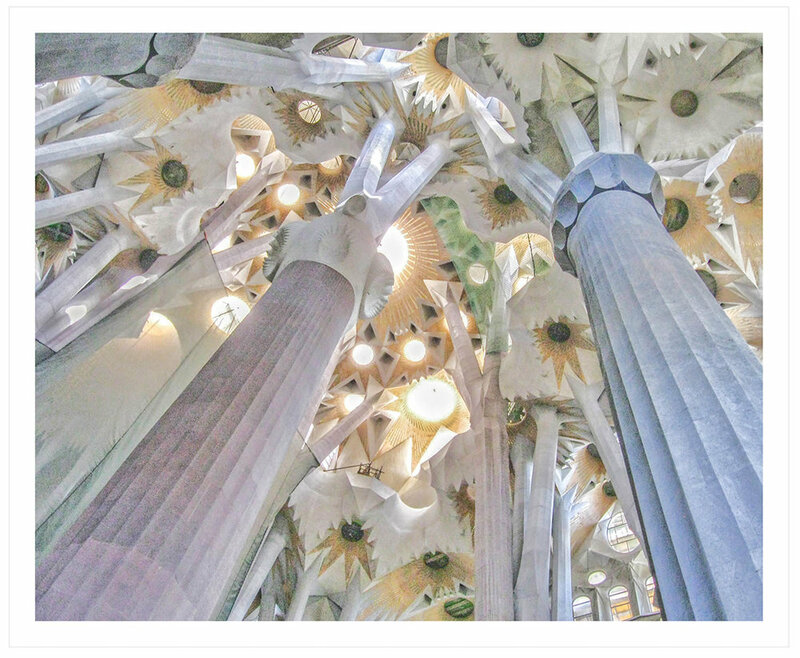 I have visited Barcelona in Spain on several occasions and at each visit, a trip to see Gaudi's masterpiece La Sagreada Familia Cathedral is essential. A stunning work in progress. The pastel coloured stone and lovely light streaming through this part of the building gives a real sense of looking up into natures tree canopy. I captured this image inside Rouen Cathedral in France. 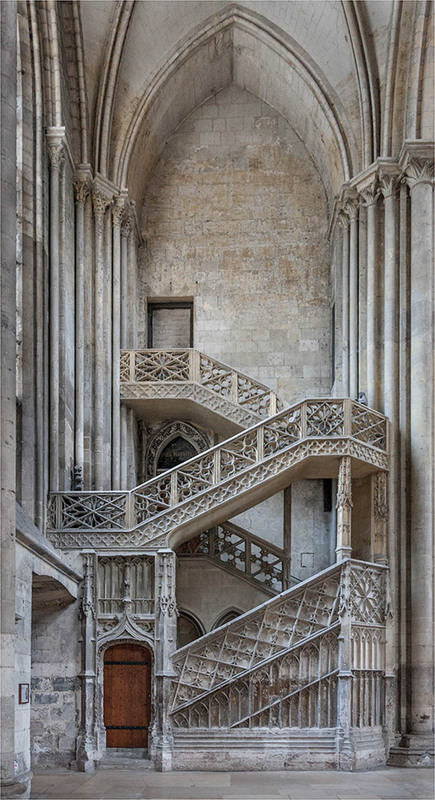 La Bibliothèque staircase is a truly magnificent piece of 15th century Gothic architecture designed by Gauillaume Pontis. You cannot visit Reykjavik in Iceland without taking time to step inside this beautiful church interior. Hallgrimskirkja church sits high, overlooking Reykjavik and resembles basalt columns. A stunning piece of architecture with clear lines and simple interior.